The gardens at Crosswater Farm were developed by Ted and Romy Millais soon after they bought the derelict farm in 1946. 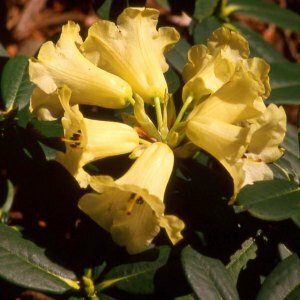 Now the 4 acre woodland garden contains a collection of more than 1000 different rhododendrons, including rare species collected by Ted and Romy in the Himalayas. The woodland garden is only open in May during the flowering season. Please refer to National Gardens Scheme (NGS) website to see when we open our gardens for charity. This year the gardens are closed for redevelopment, but since 1991 we have raised more than £20,000 for charities including Macmillan Cancer Support. Our trials garden is situated next to the Plant Centre is open throughout the year. It contains hundreds of new and rare varieties that we grow up to about 1 metre high specimens, and this enables visitors to see new and old varieties planted out in a semi-garden situation that are a few years more mature than our normal stock sizes. 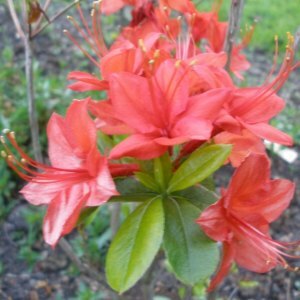 It also allows us to evaluate new varieties, take cuttings for propagation, and finally sell these plants after about 5-6 years as larger specimen plants ready to establish in your garden. 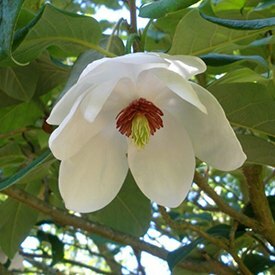 We loving hearing visitors' comments about exciting new plants that they have not seen before. Unfortunately, they do take a few years for us to bulk up sufficent numbers before we can offer them for sale.